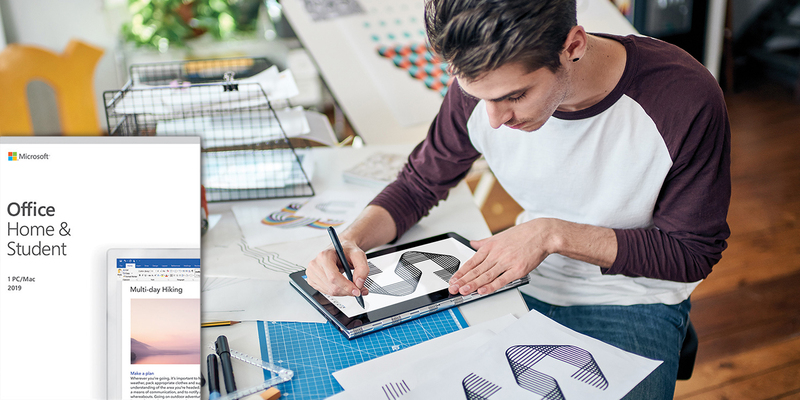 Stay productive with updated Microsoft Office products. Word 2019 and Outlook 2019 keep you in the zone with Focus Mode, which blocks out distractions and puts your content front and center. There are also other features, like Learning Tools, Read Aloud, and Text Spacing, which makes it easier for you to engage your content. PowerPoint 2019 allows you to create cinematic presentations with added features, like Morph and Zoom. Excel 2019 adds powerful data-analysis features, such as more formulas, charts, and PowerPivot enhancements. 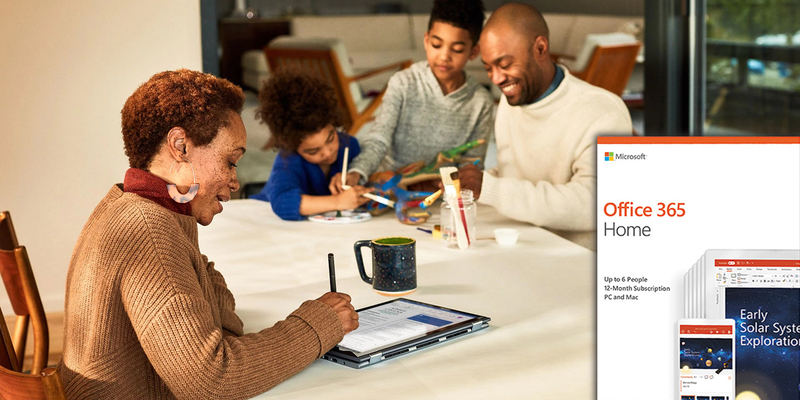 Microsoft Office Home & Student 2019 provides three essential apps for consumers and students, which are Microsoft Word, Excel, and PowerPoint. 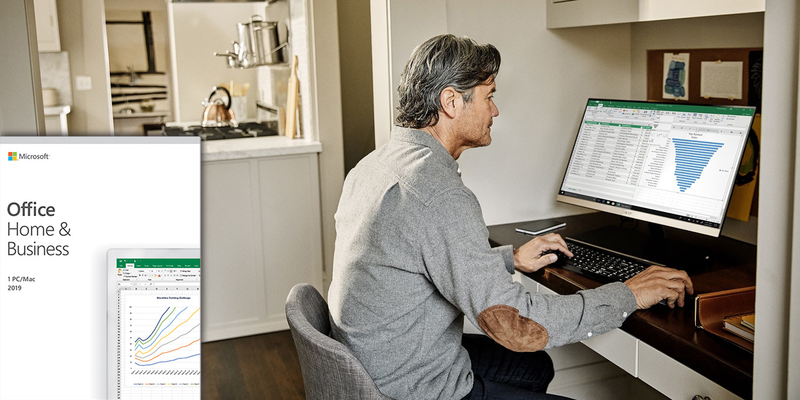 Designed for a more business-focused approach, Microsoft Office Business 2019 comes with updated apps of Microsoft Word, Excel, PowerPoint, Outlook, and OneNote. Both versions are designed for one user and can be installed on Windows or Mac. Please be aware that 2019 versions of Microsoft Office are considered one-time purchases without an upgrade option, which means if you plan to upgrade to the next major release, you'll have to buy it at full price. These versions sold at B&H are also for purchase and activation in the United States, U.S. Territories, and Canada only. If you want the latest updates and additional services, you may opt for a Microsoft Office 365 Home or Personal subscription. The Home version allows you to share with up to six users while the Personal edition is for a single user. The subscriptions last for one year. Both Office 365 versions come with access to Microsoft Word, Excel, PowerPoint, and Outlook, and can run on Mac or Windows computers. However, only Windows computers can run Microsoft Publisher and Access. 1TB of OneDrive storage (per user) and 60 minutes of Skype per month (per user) are also included. You also have access to Microsoft support via chat or phone with no extra cost. Looking to keep track of your projects and teams? Microsoft Project Professional 2019 gives you the resource management tools, like pre-built Project templates and automated schedules, to help improve efficiency and training time. You can also view multiple timelines to help you see the big picture and keep track of complex schedules. Please note that Project Professional 2019 is for Windows computers only. Please leave any questions, observations, or comments in the appropriate section below this article!